Bucharest florists. 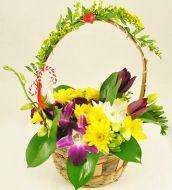 Deliveries of flowers that will save time. Florists in Bucharest are not a new business. Since the earliest periods existed in neighborhoods selected Bucharest's shops specialize in selling flowers. 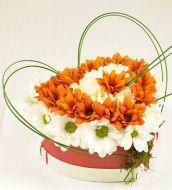 Home delivery services for flowers at home occurred but somewhat recently and there is an offer increasingly complete bouquets and floral arrangements for different occasions can be ordered from florists and delivered home at a specified date. 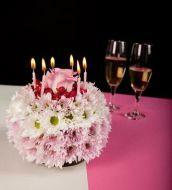 After 2004-2005 there are flower shops that have opened sites provide order catalogs to potential customers, many of which offer even pay with your credit card. A market segment separately is the online shops that offer for sale bouquets and arrangements just online, either through intermediaries or by own production facilities without street outlets in Bucharest. Although online florist segment is now under 25% of the total trade of flowers in Bucharest, the market is growing and competition is becoming increasingly sharp. SendFlowersBucharest.com (run by 123Flori.ro) opted from the start to a production center and its dedicated delivery team, and the turnover of the site doubled from one year to another, confirming that the online florist will become increasingly used by customers who want to make a careful choice in front of computer and interested persons of quality products.